GST has been spoken of as a panacea for high fuel prices but the structure in works would ensure rates remain almost at same levels. But before the two fuels are put under GST, the Centre has to decide if it is willing to let go of the about Rs 200 billion (Rs 20,000 crore) of input tax credit it currently pockets by keeping petrol, diesel, natural gas, jet fuel and crude oil out of the Goods and Services Tax (GST) regime that came into force from July 1, 2017, the official said. "There is no pure GST on petrol and diesel anywhere in the world and so in India too it will have to beacombination of GST and VAT," said the official, who is closely involved with the GST implementation. The timing of including petro products in GST will be a political call, which the Centre and states have to take collectively, he said. 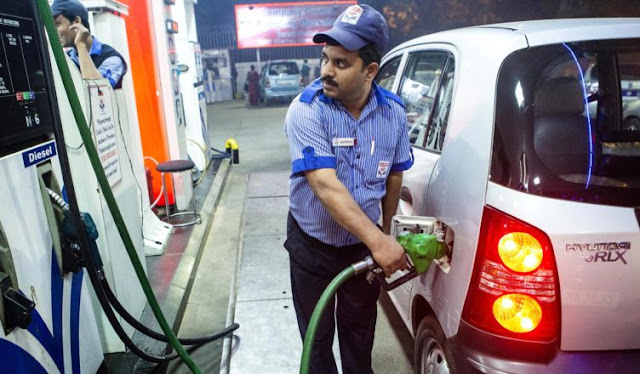 The Centre currently levies a total of Rs 19.48 per litre of excise duty on petrol and Rs 15.33 per litre on diesel. On top of this, states levy Value Added Tax (VAT)- the lowest being in Andaman and Nicobar Islands where a 6 per cent sales tax is charged on both the fuel. Mumbai has the highest VAT of 39.12 per cent on petrol while Telangana levies highest VAT of 26 per cent on diesel. Delhi charges a VAT of 27 per cent on petrol and 17.24 per cent on diesel.